Toys R Us Signboard: Signs of the Times? 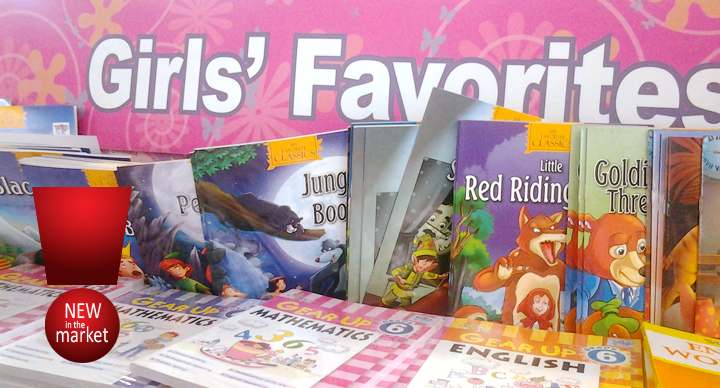 I saw this sign inside your department store in Pioneer — Robinsons Mall Forum and I am don’t understand what this notice says, reading books is now “Girls’ Favorites”. What about boys? Is this stereo-typing that boys like my kids are only good with Lego’s, RC cars, swords, toy guns, and Playstation consoles? Are you saying reading is reserved for girls? Really? I want to believe this is just a mistake because the opposite shelf has girl toys on ‘em and the other section says “Boy’s Favorites” or something like that but just the same, why can’t we come up with a section for books that we can call “Book Shelf”, or a “Learning Section” or even a “Child’s Favorite” signboard to promote literacy and education? Let’s change this label or even better, have that consciousness to cater the needs of ALL children by offering a bigger section dedicated to books and learning materials that sharpen the minds of kids. This will help them a lot — heck, help all Ninongs (godfathers) and Ninangs (godmothers) buy sensible gifts to their inaanak (godchildren) of all ages for their birthdays and strengthen the bonds between parents and kids, to learn lessons, and be more fruitful citizens of this country. In retrospect, it’s funny how I came up with all these arguments out of one signboard, however, this is no laughing matter when execution of communication materials are bereft of intentions and thought les we are a mindless, zombie-like society who only buys and no longer thinks. Wait, Robinsons is a smart business right? Let’s think before we execute, please.